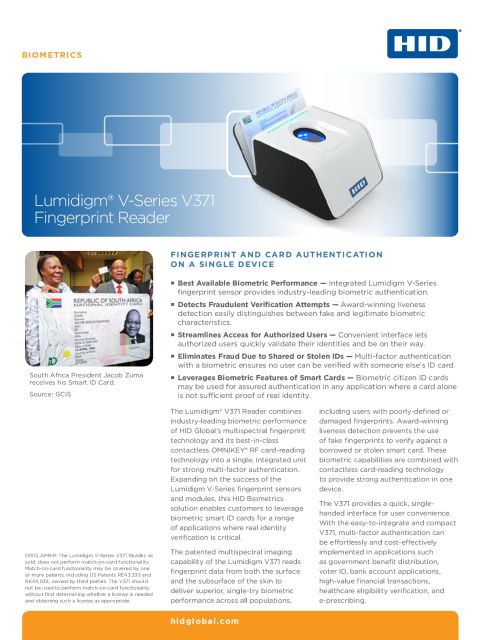 DISCLAIMER: The Lumidigm V-Series V371 Fingerprint Reader, as sold, does not perform match-on-card functionality. Match-on-card functionality may be covered by one or more patents, including US Patents RE43,333 and RE44,034, owned by third parties. 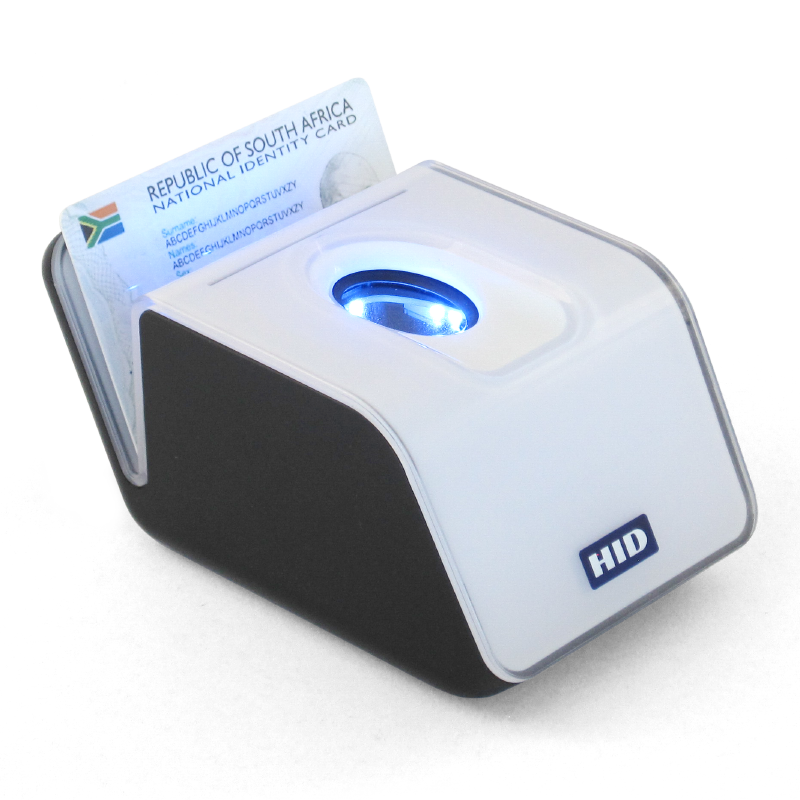 The V371 should not be used to perform match-on-card functionality without first determining whether a license is needed and obtaining such a license as appropriate. 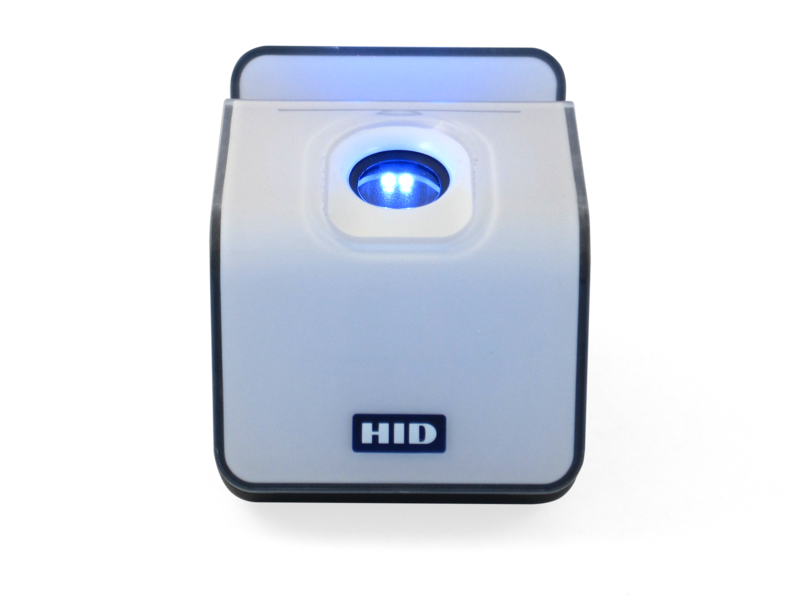 DISCLAIMER: The Lumidigm V-Series V371 Reader, as sold, does not perform match-on-card functionality. Match-on-card functionality may be covered by one or more patents, including US Patents RE43,333 and RE44,034, owned by third parties. The V371 should not be used to perform match-on-card functionality without first determining whether a license is needed and obtaining such a license as appropriate.